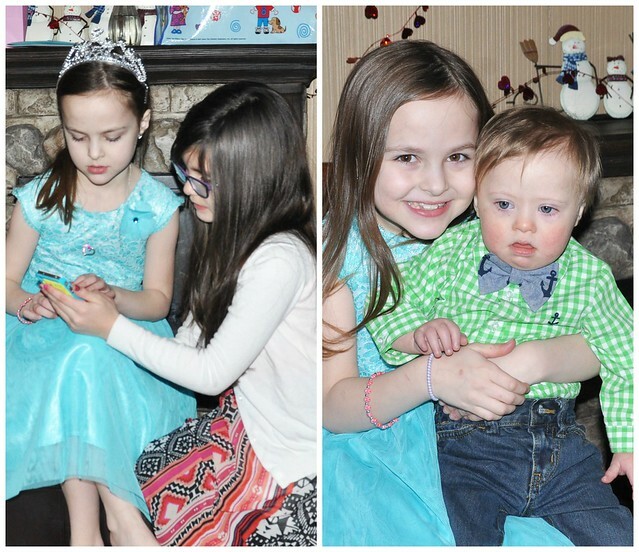 What do you do when a big winter storm passes through on the day of your birthday party? Party on!!! 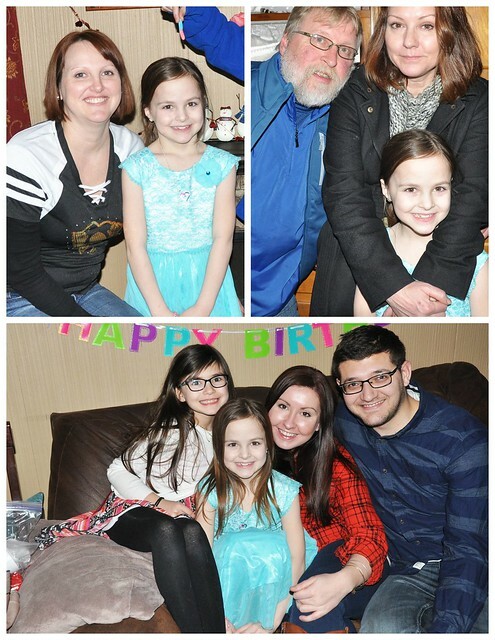 We celebrated Lexie's 8th Birthday with our immediate family members and closest friends on the day before Lexie turned 8! During the snowstorm. It was quite a day, that's for sure! Shortly after we woke up, I walked past the window, and noticed that it had snowed a ton overnight. The roads were completely covered with several inches of snow. Even worse, the snow was still falling. Rapidly. 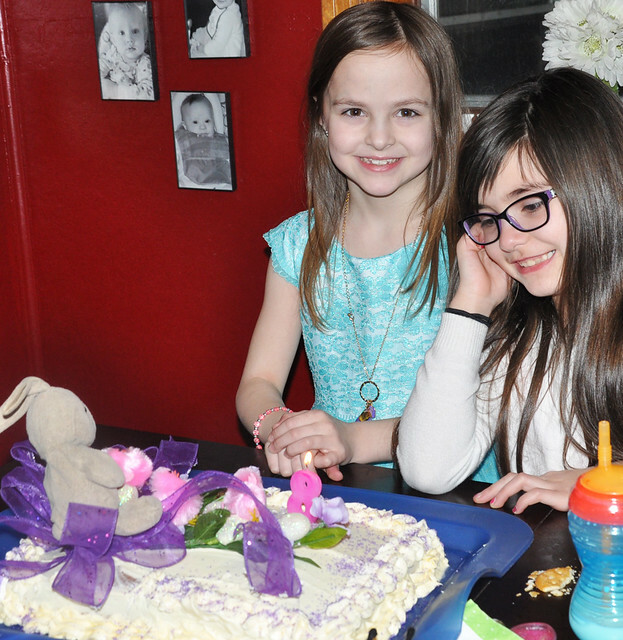 My heart sunk as I realized her party would have to be postponed, and I felt even worse after we broke the news to Lexie. She burst into tears, just as I expected. Her dog had just passed away two days before, and then her party had to be rescheduled. I felt awful. BUT...we have THE best family and friends around. When I called and sent texts to everyone who was invited, they all said they would still come! 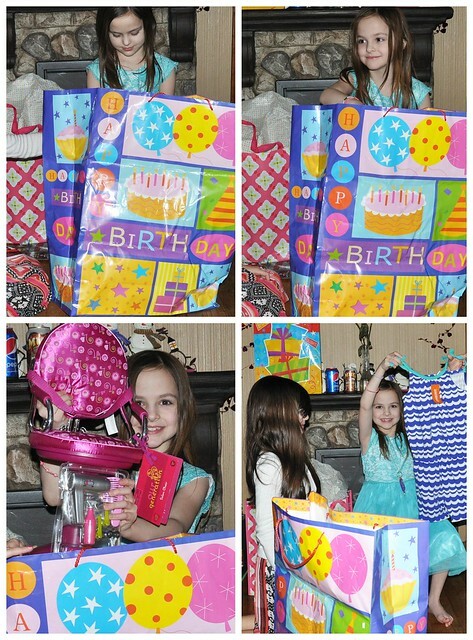 I was truly surprised and so thankful! This year, we decided to keep it small. We only invited grandparents, parents, siblings, and closest friends. 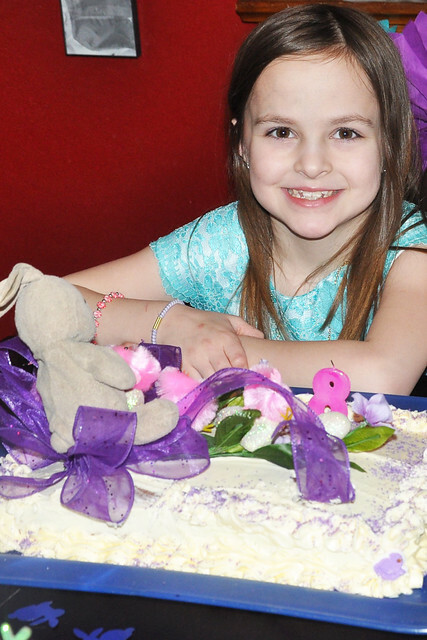 Lexie chose to redo her bunny theme in honor of her lovey, BunBun. 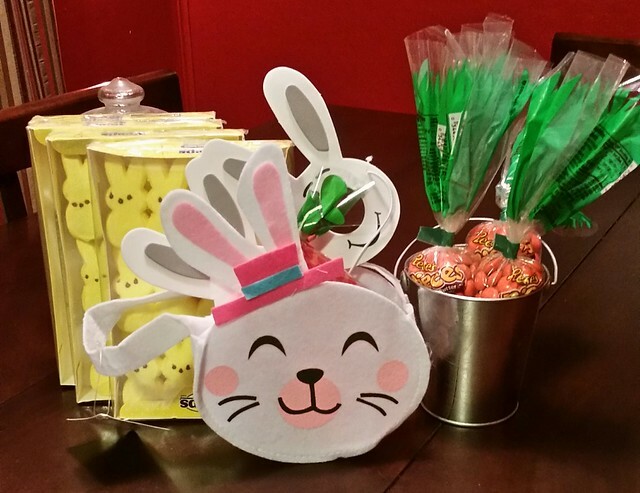 This made it extremely easy for me, because all the Easter stuff was out in the stores! After a hectic morning of trying to decide what to do, we had to rush to get everything set up in time for the first party for family. We finished just as the first guest arrived, and I only had a chance to take one picture of the food and decor. 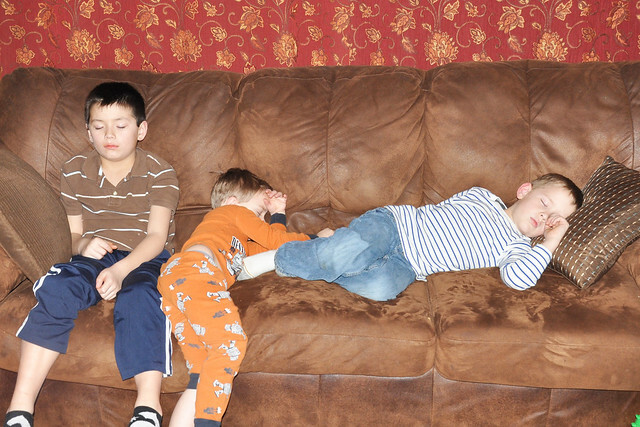 By the time I had another free moment, the food was half eaten and the house was a mess! That's real life, and this is all I have! 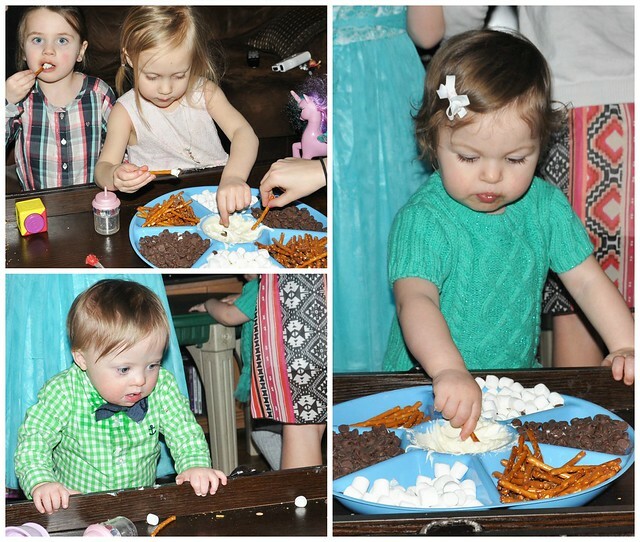 The big hit was a pretzel stick, "bunny tails" (mini marshmallows), and "bunny poo" (chocolate chips) snack tray with vanilla frosting in the middle. Seriously. Everybody loved it, and I refilled that tray so many times! Everybody arrived quickly. 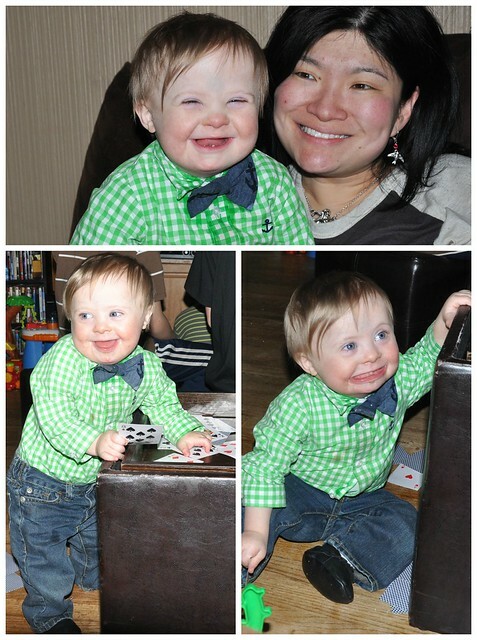 After some mingling, playing, and going outside in the snow, it was time for presents! Lexie got a kindle fire, gift cards, money, an entire Mi World, craft sets, pajamas, a journal, a necklace, lip gloss, and a stuffed turtle. 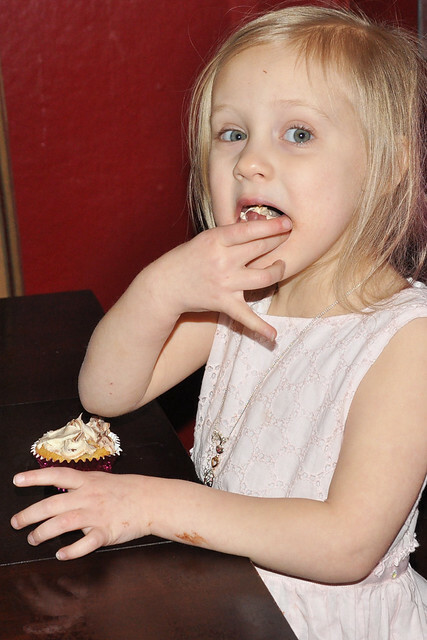 After presents, we moved on to the cake! 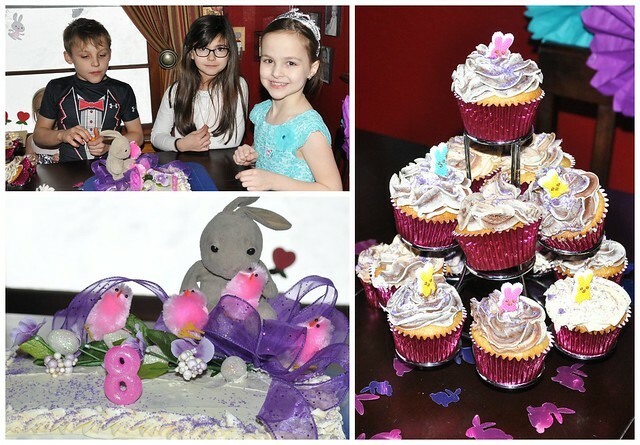 Once again, BunBun topped her cake, and some bunny-adorned cupcakes were the perfect sidekick! 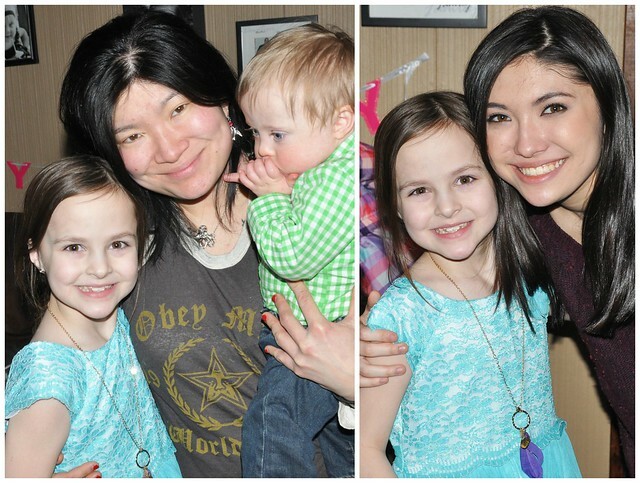 Lexie is so lucky to have such an amazing family who loves her so very much! By the time the family party ended, the roads looked a bit better. Everybody made it home safely! Aubrey (my niece and Lexie's BFF) stayed at our house for a sleepover, so she and Lexie ran off to play while we quickly cleaned up the house and set up for the party with our friends. 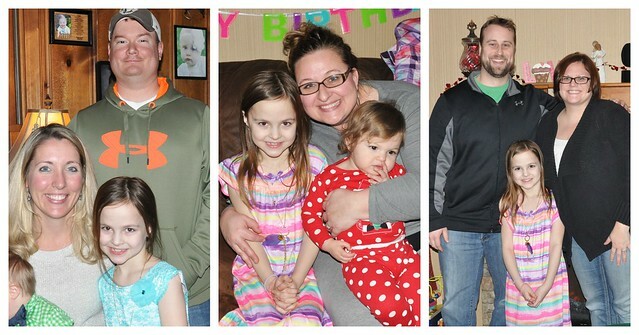 We didn't get much of a break before Birthday Party Round Two began! It was such a fun night, and we are so blessed to have an amazing group of friends! They really are our "chosen" family! 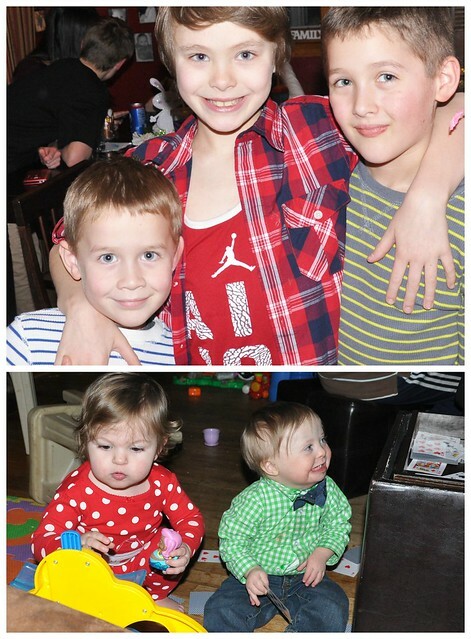 As if the excitement of two parties wasn't enough, we concluded the day with a huge sleepover. 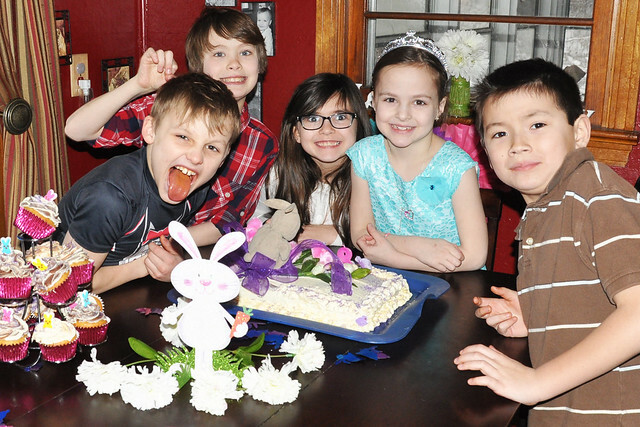 11 kids total in my house! Let's just say I stayed up late and woke up early! Despite the rocky, uncertain start, the day turned out perfectly! 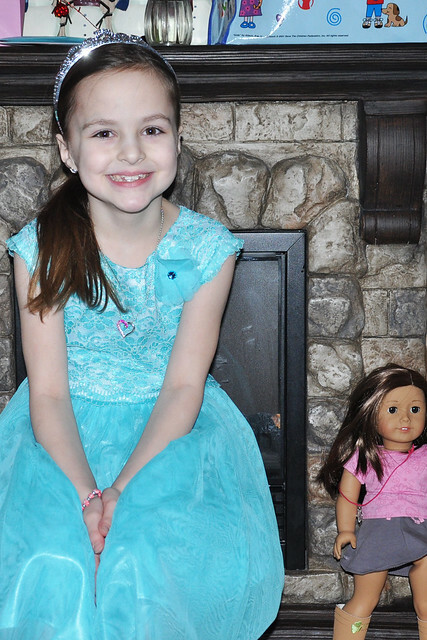 Lexie had a great day of celebrating with those who love her most! Awe! Happy Birthday sweet girl! Party on indeed! 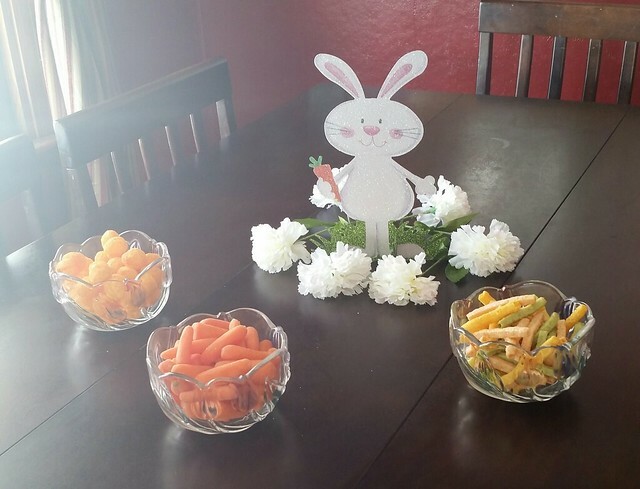 I love the cheerful spring, bunny theme in the midst of the cold yucky weather. Something about a snow storm makes everything feel a little more exciting. 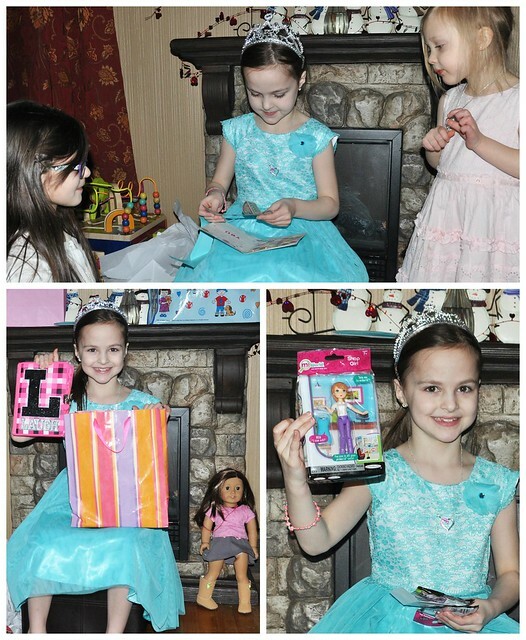 I'm glad Lexie had an awesome birthday!